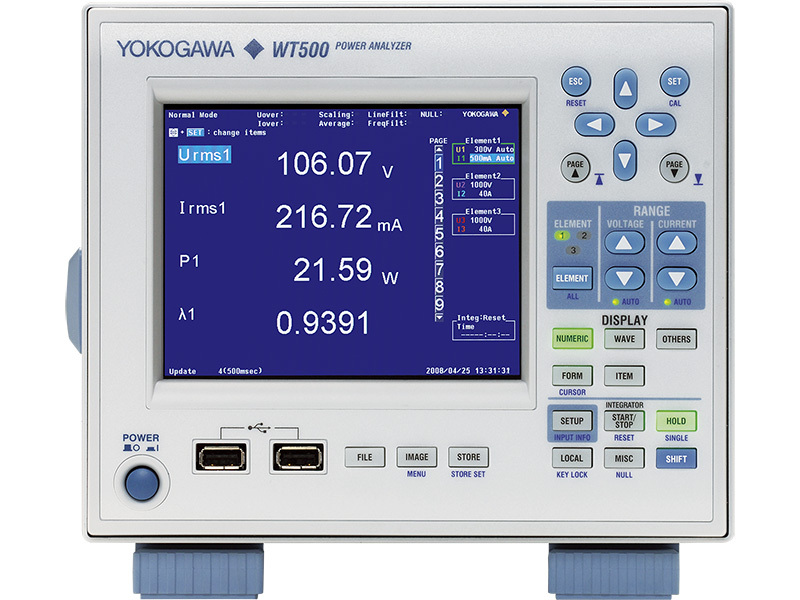 The actual display update rate for the WT500 will depend on the input signal and the trigger setting. In addition, there may be a very small trigger delay (several milliseconds) if the input signal does not match the trigger condition. 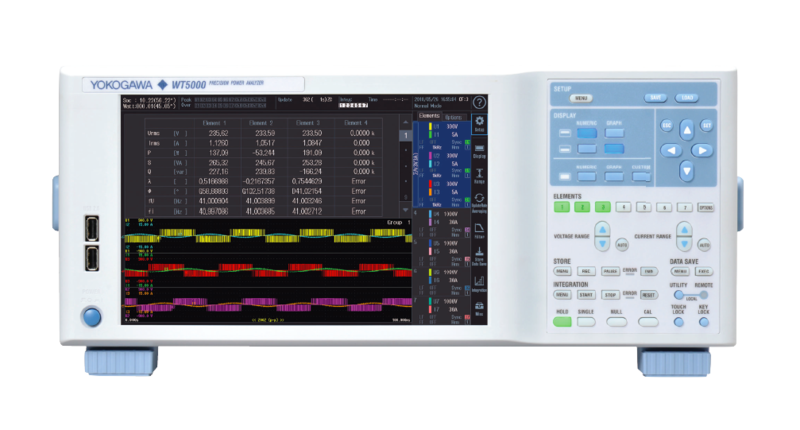 For example, when the update rate is set to 1 sec and the trigger mode is set to Auto, if the input signal does not match the trigger condition then the waveform measurement is performed after the sum of 1 sec and the timeout period. The timeout period is 100ms. When the data update interval is 100 ms and the numeric display is set to 4, 8, or 16 items, the display update interval is 200 ms. When the data update interval is 200 ms and the numeric display is set to Matrix, ALL Items, Single List, or Dual List, the display update interval is 500 ms. When the data interval is 200 ms and the numeric display is set to Matrix, ALL Items, Single List, or Dual List, the display update interval is 400 ms. When the data update interval is within the range of 100 ms to 1 s, the waveform display and data update intervals are approximately 1 s.
When the data update interval is 1 s or longer, the waveform display and data update rate intervals are the same as the data update interval but may be longer depending on the trigger settings. When the data update interval is within the range of 100 ms to 500 ms, the data and display update interval of the trend, bar graph, and vector display is 1 s. When the data update interval is set to 1 s or longer, the various display and data update intervals are the same as the data update interval.